A deservedly popular and medium length of river trip is combining exhilarating white water with fine scenery. 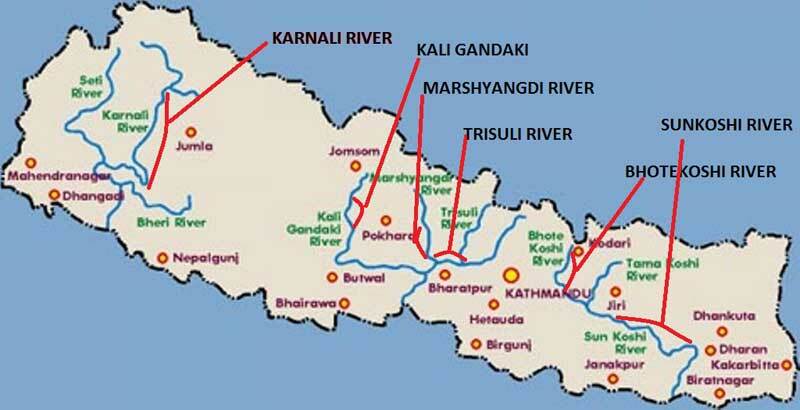 One of the famous names of Himalayan Rivers call Kali Gandaki raises in Mustang an enclave of Nepal poking into Tibet on the other side of the Himalayas. Here; it is a flat and braided river, flowing in an arid open valley. As it tumbles down between the majestic Dhaulagiri and the Annapurna ranges, it creates one of the world's deepest gorges. The explorer Michael Peissel ran this stretch of the river in a small hovercraft in 1973 and at least two other groups have rafted and kayaked in this section. In Kaligandaki rafting whole day you have to continuous keeping paddlers busy against all technical rapids both experienced and novice rafters love this. Nowhere else is it possible to find such diversity on a 3 day raft trip. Nice drops, sparkling chutes and turbulent rapids provide class III to IV+ runs during the fall and spring seasons. The trip begins and ends Pokhara to Pokhara, a day travel from Kathmandu to reach Pokhara. From Pokhara drive private transportation to the put in point Nayapul of the Kali Gandaki River bank (appr. 3 hr.drive) and after 3 day 55 km. wildness expedition trip ends and take out at dam (Mirmi) . We serve you lunch there, clean up and load the gear and drive back about (5 hrs.) journey to Pokhara again. After your exhilarating white water trip you have options either to drive or fly back to Kathmandu or to visit the Chitwan National Park or again you can go for the trekking trip in the popular area of Annapurna region for few days. Day 1: Pokhara to rafting starting point Nayapul 70 km - full day raft than transfer to Modi Khola Camp. Day 3: Purti Ghat to rafting to Mirme and drive to Pokhara. All meals during the rafting period (B/L/D). Rafting, kitchen and camping equipment experienced Cook and other staffs. Day 1: Pokhara to rafting starting point Maldhunga 70 km and raft to Modi Khola Camp. Day 3: Purti Ghat to Mirmi and drive to Pokhara.